Some time back (February 2015), I posted a piece on recovering from no startup chime on a Power Mac G5. Researching on Google, it was clear that this was a fairly common problem, and I was pleased to be able to share a solution for it. I recently had this problem occur again, once more on my original personal Mac, a late 2005 2.3 GHz Power Mac G5 Dual. This particular machine seems to get into this state once a year or so. This is surprising, since my other Power Mac G5, a 2.5 GHz G5 Quad (also a late 2005 offering), has never once exhibited this behavior. At any rate, I smiled knowingly to myself when I unexpectedly encountered the all too familiar “no startup chime” situation on my G5 Dual a few days ago, and of course I followed the solution recipe that I had posted in my earlier piece on this problem – I unplugged the machine and let it sit overnight, the objective of which was to cause the on board SMU to reset. The next day, I plugged the G5 Dual back in and confidently hit the power button, expecting it to chime either right away, or on the second attempt. I was more than just a little disappointed when it didn’t do either. It not only didn’t chime, it didn’t do much of anything else at all, except spin up the hard disk and run the fans, both of which were clearly audible. Maybe I hadn’t waited long enough with the machine unplugged? Maybe the PRAM battery was dead? Maybe I needed to try using the infamous, and usually totally ineffective, SMU Reset button on the motherboard? I walked through all of these potential solutions, but to no avail. The machine stubbornly refused to chime and boot. Frustrated, I dug back into Google and once again went through everything I could find on this problem and its solution. Happily, a pattern started to emerge in my research, suggesting that it could be a monitor or video card related issue. Countless web authors stated that reseating the video card, or simply attaching a different monitor, would miraculously rouse the sleeping beast and return the G5 to a working state. With nothing to lose and nowhere else to turn, I decided to try this. I attached a different monitor and hopefully powered on the G5. Nope, no difference. No chime, no boot. This left only one path – reseating the video card. Although the concept made no sense to me in the context of this problem, I decided to try reseating the card, an nVidia GeForce 6600. The location of this card is shown in the image below. Reseating the card was a LOT more difficult than it sounds, due in no small part to the fact that removal of the card was impeded by a small plastic tab on the corner of the PCI-E slot into which the card was plugged. This tab steadfastly resisted all efforts to remove the card, and then, when I finally prevailed in that task, proved equally effective at inhibiting the re-insertion of the card. After about half an hour of fuming and fussing with it, I finally accomplished a reseat of the video card, wondering whether I had damaged the card in the process of attempting this seemingly nonsensical “fix”. With no real expectation of success, I hit the power button and to my complete surprise, I was rewarded with a robust chime and a full and successful boot up of Mac OS X. Had reseating the video card ACTUALLY accomplished this result, or was it just a random co-incidence? I honestly don’t know, and given the difficulty inherent in accomplishing the reseat, I don’t plan to experiment with it again until a “no chime” situation occurs in the future. I can report that the G5 has been successfully booting ever since. The no chime scenario has been once again banished. Who knows when it may raise its head again. My thoughts turn to defeating this issue once and for all. I have long suspected that there is an incompatibility between the nVidia GeForce 6600 video card in the unit and the monitor to which it is attached (a ViewSonic VP2130b), since the monitor will not always detect the video and display anything after a boot up. The same monitor works flawlessly however when paired with my G5 Quad. So, I am going to head over to eBay and purchase the same model of video card that the G5 Quad has (an nVidia Quadro 4500) and swap out the current card for this higher end part. Hopefully, this will resolve the incompatibility issue once and for all, and perhaps the “no chime” issue at the same time. So, to summarize, simply unplugging a G5 that won’t chime and boot, and leaving it for 24 hours or so, still seems to resolve the situation most of the time. In the event that this does not do the trick however, try reseating the video card. It has worked for me at least once! If and when I gather more information on the solution to the “no chime” problem, I will post it as well. The saga of the “bad apple in the bunch” continues. Yesterday, after letting the machine sit for a good part of the day, sans both its PRAM battery and its mains power supply (no battery and unplugged) I attempted to restart it. As expected, it failed to restart. Acting on impulse, after reading articles by some people who said that reseating the video card seemed to have an effect on this problem, I unplugged the monitor and attempted the restart again. It succeeded! The machine fired up with no issues at all. I plugged in the monitor as it booted, and the network connection shortly thereafter and all seemed well. The full compliment of 4.5 GB of RAM was showing up, so that was a good sign. I ran System Profiler and went to the Memory “tab”, where I could clearly see that all the RAM sticks were of the correct type and that all were working correctly. Well now, since the machine was up and running, I decided to apply a few of the other “solutions” I had read of, hoping that any one of them might solidify the newfound “cleanly booting” status of the machine. I ran Disk Utility and checked the hard drive, which came back perfectly clean, and then repaired permissions, which also went off without a hitch. Finally, I pulled up OnyX and ran all of the maintenance scripts (monthly, weekly and daily), and as a final step, executed all of its “Cleanup” steps, which flush caches and the like. 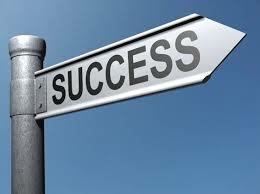 All actions ran to completion successfully. With the machine in as clean a state as I could bring it to, I gingerly restarted it, expecting… I wasn’t sure what to expect. Happily, I was greeted by the happiest sound in all of Mac-dom, the start up chime. The machine roared back to life again, and continued to do so on repeated restarts. Finally, being the risk-taking sort, I executed the Shut Down command vs. the Restart command that I had been using up to now, and then started the G5 up again. All was well. The machine seemed 100% solid again, for no known reason. The PRAM battery was still out of the case and so today, I decided it was time to finish this exercise and put it back in. I powered off the machine, unplugged it, opened it up and put the PRAM battery back. This battery, you will recall, is brand new, having just been taken out of the package and inserted into the machine a day or two ago. I checked the Power Mac G5 specs, to be sure I had the correct type of battery, and I can confirm that I do – it is the regulation CR 2032 coin style battery – and that I had inserted it the right way up in the holder. I closed the machine back up, having done nothing to it but installing the battery, applied power and restarted it. Of course, it would not boot. Of course! 😡 Interesting… OK, I unplugged it, opened it up again, removed the PRAM battery, closed it up again, plugged it back in and retried the boot. This was identically the state the G5 was in when I started today, so it should work again, correct? Nope! It wasn’t having any of that. It would not boot. I repeated the “remove the monitor” step from above and tried again. Nope. No go. So, here we are again. The machine did recover itself yesterday, after a long unpowered pause, but is now once more cold and silent after the simple step of re-inserting the PRAM battery. I have put the PRAM battery back in, and left the machine unplugged. Tomorrow, after another suitable powerless pause, I will try it again. If that doesn’t work, I will remove the PRAM battery as well, allow it to slumber for another day, and then try again. I’ll let you know how this goes. 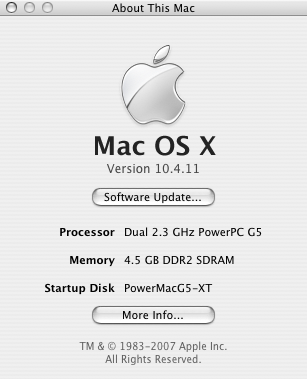 The first Mac I bought for myself was a late 2005, 2.3 GHz Power Mac. I used this machine as my main computer for two years, before replacing it with a 3.2 GHz Mac Pro (which itself has since been replaced with a 3.4 GHz 27″ iMac). 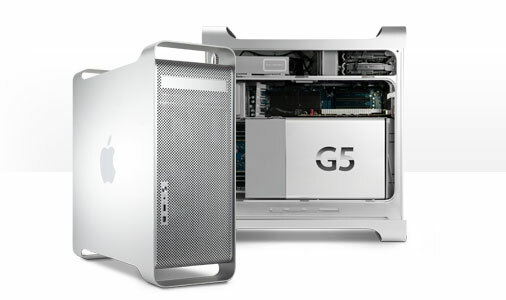 The G5 was delivered with a paltry 512 MB of RAM, in which Mac OS X Tiger somehow managed to limp along. Of course, I had ordered a RAM upgrade along with the machine, and so on the day of delivery I bumped the new G5 up to 2.5 GB, and so it stayed throughout its full time as my main computer. 2.5 GB seemed like a LOT of RAM in those days! When I started restoring vintage Macs a few years ago, I decided to do something I had always wanted to do with my now retired G5 – add another 2 GB of RAM. The newly revised machine would then be pressed into service as a household file server and would thus gain a second useful life. Adding another 2 GB of RAM should have been an easy task, but it was not. After I added the two new memory sticks, the machine would not start. The fans turned on and I could hear the disks spinning, but there was no start up chime, and no outward signs that the CPU was running at all. I had taken all the normal ESD precautions, and so I was pretty sure that the RAM was healthy. I was therefore totally perplexed by the sudden and complete absence of any signs of intelligent life from the newly upgraded machine. As I tried remedy after remedy, at one point I got a start up chime and the machine sprang into life. “About this Mac” showed that it now had a compliment of 4.5 GB of RAM and all seemed well. I was ready to dismiss the whole episode as some form of upgrade weirdness, and assumed that a reset of the CUDA or a reset of the PRAM would clear this up once and for all. Confident in this belief, I powered down the machine to take these steps. That turned out to be a bad move. Once again, this clearly healthy machine went silent and cold on me. No start up chime, no signs of intelligent life. I did all the usual things one does in circumstances like this, such as backing out the RAM upgrade, changing the PRAM battery, attempting a PRAM reset, resetting the CUDA and so on. NOTHING worked. The machine just sat there, fans and disks turning over, but without any other signs of life. After a great many unsuccessful efforts, I eventually gave up, deciding that I would have to take the G5 to the Apple Store for repair. At the time I gave up, I had the new 2 GB of RAM out of the machine, and this was how things stayed until a few months ago. My (by now retired) Mac Pro took on the G5’s intended job of household file server, and all was well enough. The G5 sat silently gathering dust in a corner, awaiting its next chance at life. A few months ago, I decided to have another go at resurrecting it. I plugged it back in, changed the PRAM battery (again! ), pressed the start button and sat back, expecting nothing. Much to surprise, it gave out a robust start up chime and took off. Expecting that this was a “one of”, and that it would never restart again, I shut it down and restarted it. Up it came again, full of life and vigor. Again and again this scenario repeated itself. 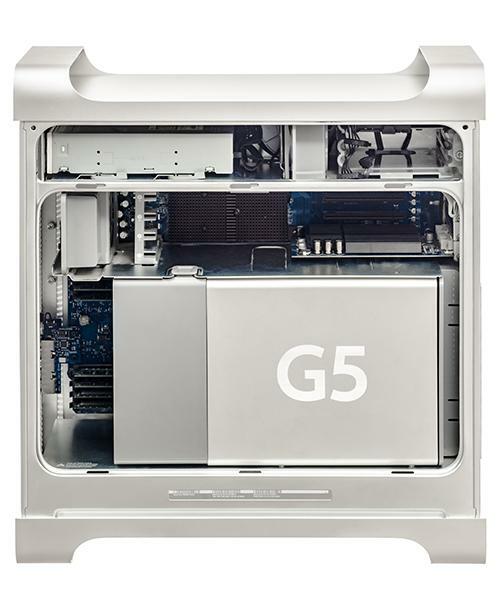 The machine seemed to have cured itself during its long wait, and with some pleasure I retired the Mac Pro once more and put the G5 into its originally intended role of household file server. Yesterday, I messed that all up again. Those 2 GB of RAM have been sitting out on a desk near the G5 ever since I gave up on my original effort to install them. Reasoning that the machine was now clearly starting very reliably, I decided to finally accomplish what I had set out to do years ago – increase the RAM to 4.5 GB. You can probably guess the rest. I am right back where I started. The machine once again sits cold and silent, resolutely resisting all my efforts to get it to boot. I have done all the things I can think of to overcome this unfortunate circumstance. I have backed out the RAM upgrade. No joy. I have reseated all the RAM. No joy. 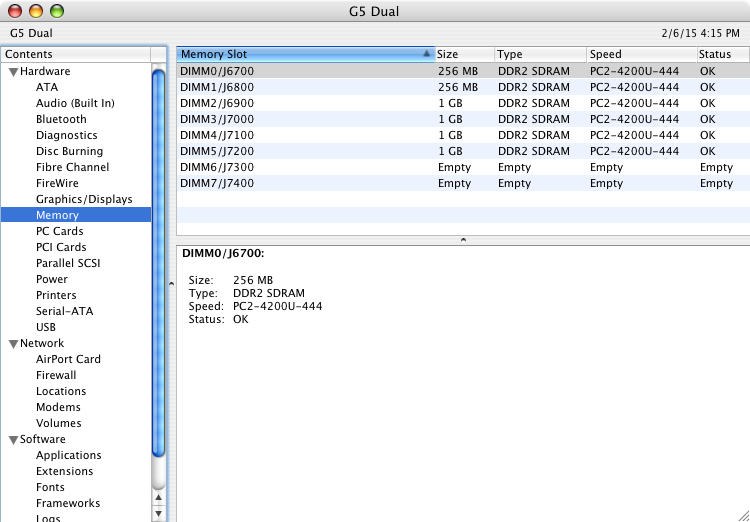 I have taken out almost all the RAM out, leaving only the original 512 MB that came with the machine. No joy. I have reset the CUDA. No joy. I have attempted both PRAM and NVRAM resets. No joy. I have tried all nature of start up key combinations to coax the machine into doing something … anything! No joy. I have even checked all the internal connections. No joy. NOTHING will induce the G5 to rejoin the land of the living. I have searched the web looking for other solutions, but have found none. What I have found is that this is not an uncommon experience. There seem to be a lot of folks out there who have 1.8 GHz, 2.0 GHz and 2.3 GHz Power Mac G5s that just mysteriously stop booting. Some people report that, like me, after some apparently unrelated step, the machine suddenly springs to life again. It is nice to know that I am not alone, but regrettably this is not of great assistance in resolving the matter! To that end, I am down to repeating the apparently successful prescription I stumbled upon last time: leave the machine sitting dormant for some time, and then try it again. Am I draining a cap somewhere? Who knows what made this work last time, or if it will work again this time. I hope that it may some day. I have a certain fondness for that G5. In the meantime, if you should happen to know any specific cures for the “G5 no chime syndrome”, I would be delighted if you would comment on this post and suggest them. 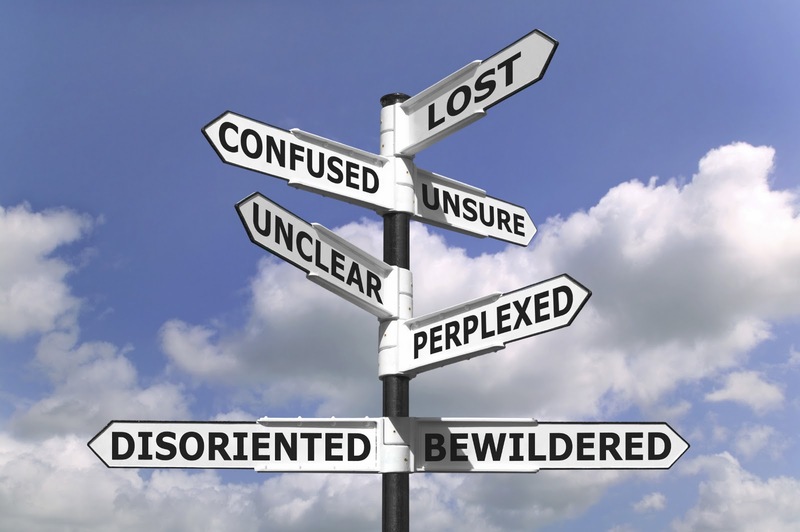 I am not sure where to turn next. As I said once before, even Apple can’t get it right all the time. There has to be a bad apple in every bunch and I seem to have one of them!